Shopping for a mattress used to include going to a local bedding store like Sleepy’s, laying in a bed for a few minutes and then heading out the door with a delivery date set. The only real options there were soft, medium or hard firmness. Now, there are a lot of other things to consider, namely what material your mattress is going to be made of. The main options are now inner spring (coil), memory foam, latex and air mattresses. If you are considering a latex mattress, then you also have to ask yourself more questions. Do you want Talalay or Dunlop latex? Do you want or need an eco-friendly or green mattress? In the United States, latex mattresses are still a newer product that not as many people know about. European countries have already adopted these beds, which is a popular choice among people there. Early forms of latex foam involved the processing of liquid latex, derived from various sources. The most common use for latex in manufacturing is tires. This material also makes balloons, gloves, rubber bands, pencils and more. Due to some political and historical happenings not worth getting into here, a synthetic form of latex needed to be created. Many different kinds of synthetic materials as well as natural ones were then processed to form synthetic latex foam. These new latex materials are used to make mattresses. There are two different methods of creating latex mattresses that differ greatly. Latex cannot simply be laid out in a rectangle and hardened to form a bed. It needs to be processed in a specific way to hold its form. This is the original method for shaping latex. It dates back to the 1920’s. 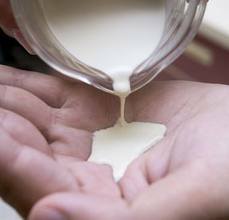 This method involves pouring a whipped, frothy-like mixture of latex into a mold. It is then steam cooked to harden the core. Dunlop shaped latex foam mattresses are usually much more dense since they are formed with the latex settling into place. While the Dunlop method uses heat to form the core, Talalay uses the cold. The liquid latex mixture is poured into its mold where vacuum pressure removes the air from the mold. It is then flash frozen to hold this shape before it is baked. Talalay latex foam mattresses will have a more consistent cell structure throughout. These are generally more expensive. As I said earlier, synthetic latex foam was created after use of latex from rubber trees couldn’t be sustained. Synthetic latex is great from an economical point of view, but there are some drawbacks. Synthetic latex is made of chemicals. These chemicals usually leave a mattress with a foul odor. Besides that, you could be breathing in the gas of these chemicals while you are sleeping. 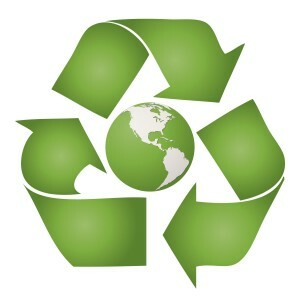 As for an environmental standing, synthetic latex mattresses take lifetimes to decompose in landfills. There are eco-friendly green latex foam mattresses being created now in response to these problems. There are a variety of materials that manufacturers are using, but a common favorite is soy. The green mattresses are still durable though. They can last the owner 10-20 years. Inner spring mattresses are the most common beds sold in the United States and will continue to be because of the affordable pricing. The price of a latex mattress is sometimes in the range of 3x that of coil mattresses. An investment in a latex mattress is often a great idea though. These mattresses are much more durable and can last 3 times as long as its coil counterpart. You’ll also find that the health benefits of a latex foam mattress supersedes the coil ones. Memory foam is much more known that latex mattresses. This could be due to the great marketing efforts of the Temperpedic brand. Both carry most of the same health benefits as one another, and some mattresses are even made with a combination of a latex core and a memory foam topper to get the biggest bang for your buck. Latex mattresses are more often than not, a bit more expensive than memory foam. A common reason for buying latex over memory foam would be the softer, “springier” feel of the latex rather than the denser feeling of the memory foam. The price of a latex foam mattress will vary tremendously based on several factors. Talalay is more expensive than dunlop. Green/natural is more expensive than synthetic. Thicker is more expensive than thin. 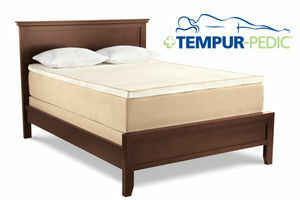 With that being said, you can get best quality latex mattress for approximately $700-$1400. The real price range from lowest quality to ultra luxury ranges from about $200 all the way to $60,000 (The Vividus by Hastens). You can definitely find discounted latex mattresses if you know where to look. Generally, brick and mortar stores won’t have the best deals on latex foam mattresses. You’ll want to find a website that sells these for a good discount. Most of the websites carrying latex mattresses can drop ship them, which means that they save hundreds of dollars in the cost simply by cutting down on their overhead of storage, shipping and losses. When you finally do treat yourself and buy a latex foam mattress, you are 100% going to want a sleep trial whether you thought so or not. It generally takes a person a week or 2 for their body to adjust to a new sleeping arrangement. You are going to want to take this time to make sure that your mattress investment was worth it. Most trustworthy websites will offer you a free 60-90 day sleep trial. We recommend that you take advantage of this opportunity to test the bed out. Give it 2-3 weeks and see how you like it before you make any decisions. Zsmattresses.com is a participant in the Amazon Services LLC Associates Program, an affiliate advertising program designed to provide a means for sites to earn advertising fees by advertising and linking to amazon.com.